Around the mid-sixties, Nintendo had established a games department and was producing mostly traditional board games. Some of these were using a recently acquired license to feature Disney Characters as well as Japanese TV figures. Nintendo was already well known as a card manufactured, but was a small fry in the general toy market when compared to other companies like Epoch and Bandai. Nintendo needed something to put itself on the map in the toy area, and the first toy designed in 1966 by Gunpei Yokoi provided this much-needed recognition. Selling for ¥600, the Ultra Hand (ウルトラ ハンド) was a plastic toy that could be expanded and contracted by moving the handles. The top of the box contained a drawing with a spectacular display of the fun to be had with this toy. 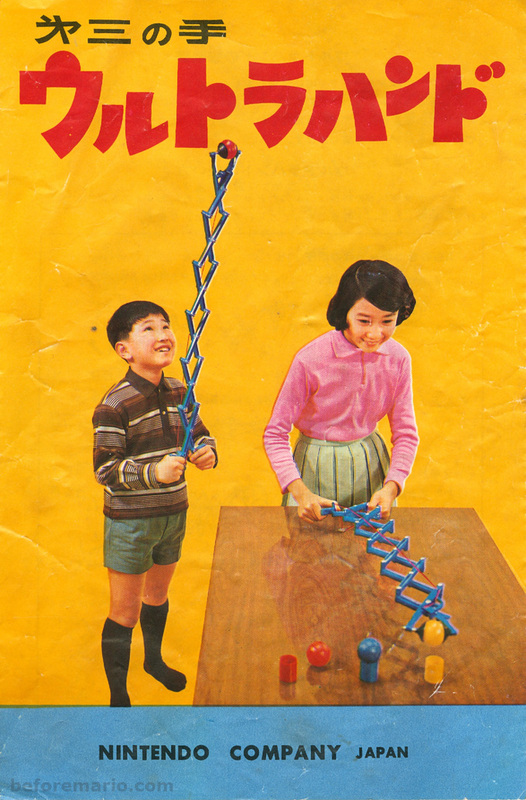 The toy came with three colored balls with stands, which could be used to practice. Around the release of the Ultra Hand, Nintendo had not yet found its final corporate identity, and the logo still changed regularly. The Ultra Hand was released under the "Nintendo Game" brand; with the "NG" logo. Besides the box, the toy also contains some further Nintendo branding. Operating the toy is pretty much straightforward, though grasping an item in the claws requires some practice. 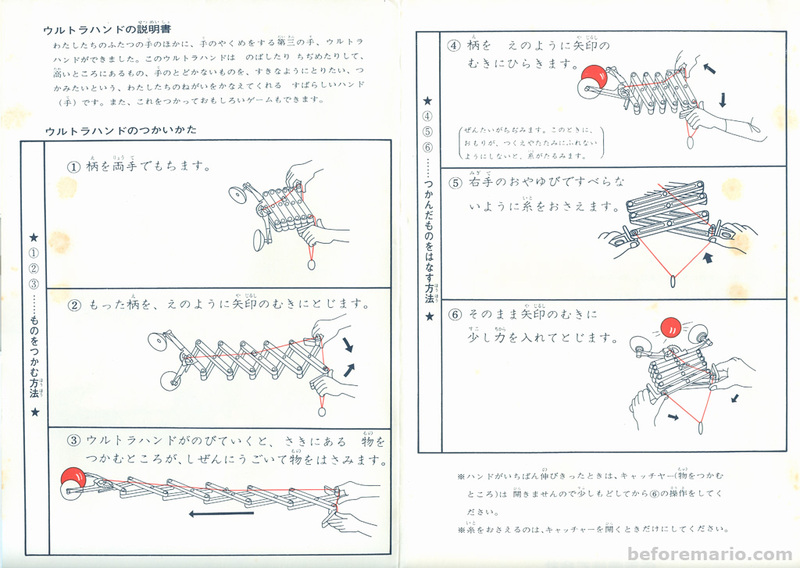 As explained in the manual, the “hands” at the end of the Ultra Hand could be closed to grab an item, by pulling the red string. 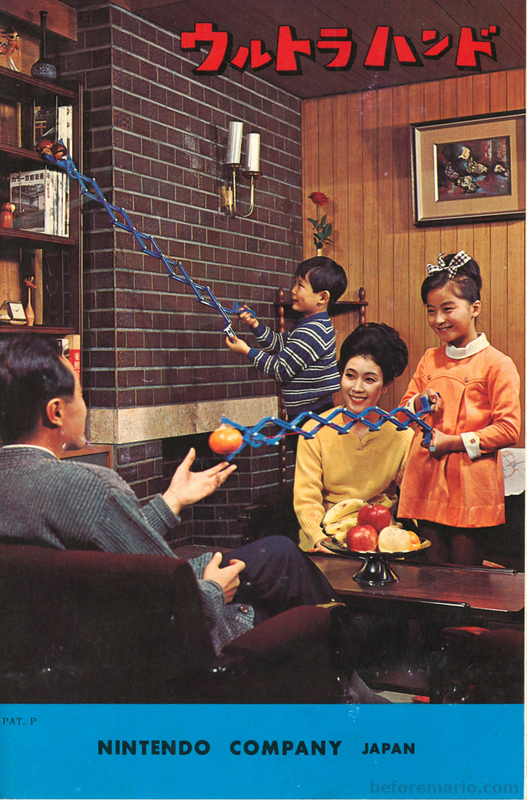 The Ultra Hand became a great success and more than a million were sold between 1966 and 1970, making it Nintendo’s first million seller. At least 5 different versions of the box design have been released in Japan over the years. Besides the three pictured below, a blue variant of the white box exist, as well as a design with the newer NG logo and a photo on the front. There are also some differences in the interior of the boxes. The nicest versions have silvery lining which provides a more luxurious and futuristic feel. The white box reuses some of the art from the previous versions and introduces a new Ultra Hand logo on the side of the box. The white box has an alternative cover for the manual. The blue box is a simliar to the white one, except for the background color. 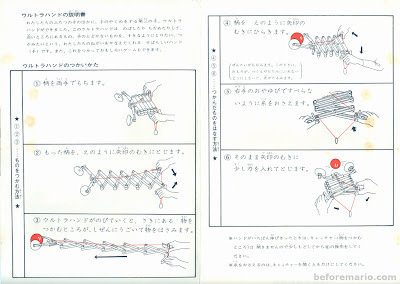 This version does include an instruction booklet. Instead the instructions are printed on the inside of the box lid. The rarest box is the one pictured below. This version from 1973 is the last incarnation of the Ultra Hand packaging. By this time the Ultra Hand's novelty had worn off, and sales slowed down. This would explain why it is almost impossible to find one of these remaining today. A final box variant is this Ultra Hand version released for the Australian market by an Australian company named "Hong Kong Handarts". Although the box does not mention this as an officially licensed product, the Ultra hand inside was produced by Nintendo. This must be one of the first Nintendo toys to make it out of Japan. Until the 80s Nintendo did not distribute their own products internationally, but worked with international partners. However, until the release of the Ten Billion puzzle and Game & Watch, the items that were made available abroad were limited and the volumes low. 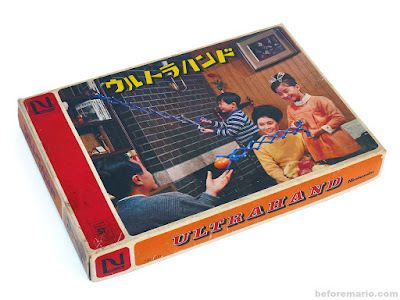 Ultra Hand sold in Australia by "Hong Kong Handarts"
The box art was changed using some local inspiration. Swiping a baby kangaroo out of its mothers pouch may not be advisable in real live, but here it sure looks fun. 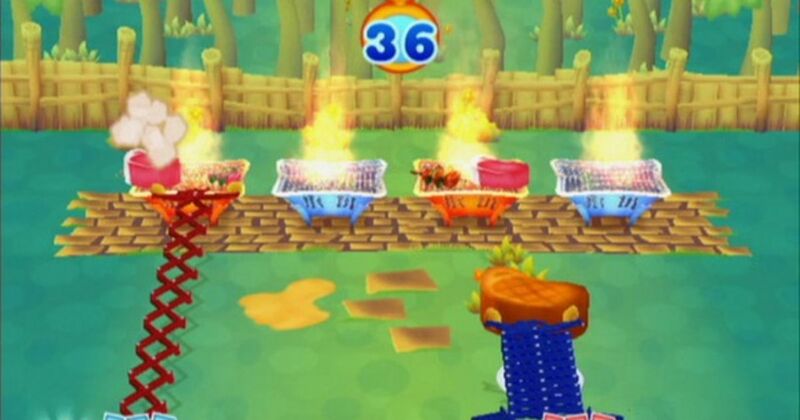 Recently, the Ultra Hand has been featured in a WiiWare game called “Grill-Off with Ultra Hand!” available to Club Nintendo members in Japan and the USA. 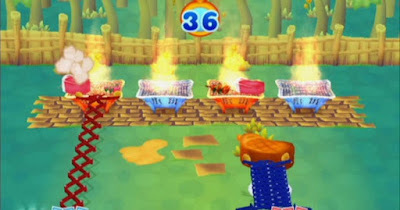 In this game the Wii Remote and Nunchuk are used to simulate the handles of the Ultra hand. Shame this never came over here, I could picture Ideal or Marx releasing something like this! Pity they didn't repackage this with "Inspector Gadget" branding back in the early 80s. I honestly wish that a special attachment, as well as improvements, could have been added to this device so that it could be like a longer hand and that individual fingers could be controlled or that it could be fitted with a boxing glove.